The Music & Worship ministry exists to worship and serve God and to invite and lead others into a worshipful relationship with Jesus Christ. If you are interested in using you talents through music, we have a place for you! Our "Saved By Grace" Praise Team and Band leads all of our Sunday services in a blended style of worship. Rehearsals are Thursdays at 7:10 p.m. in the Worship Center. If you are interested in participating, call the church office at 462-8816 or email Codi Wiltshire to set up an audition time. 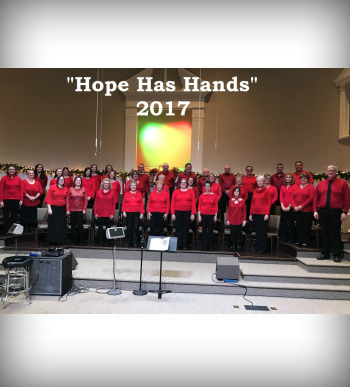 The Celebration Choir leads us in worship during our 8:15 a.m./10:45 a.m. Sunday services and other major worship events throughout the year. This includes Easter services, the Patriotic Musical, and the Christmas Celebration. The choir meets Thursdays at 6:00 p.m. for regular rehearsals in the Choir Room. If you are interested in participating, call the church office at 462-8816 or email Codi Wiltshire. JOIN OUR MUSIC PROGRAM ON FACEBOOK!